Created by the Latin American and Iberian Institute (LAII) at The University of New Mexico, this guide was inspired by the traveling photography exhibit, Frida Kahlo – Her Photos, which was on view August 25-December 2, 2017, at the UNM Art Museum. Working together, the LAII and UNM Art Museum held professional development workshops in the exhibit space for teachers interested in bringing Frida Kahlo into the classroom. 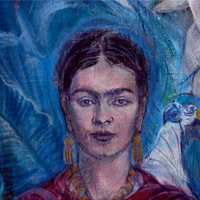 This guide is offered as a way to complement the exhibit and to serve as a starting point for educators everywhere who want to encourage their students to think critically about Kahlo – recognizing her as more than an international icon – and to approach her work from biographical, political, and social perspectives. We invite teachers to pick and choose the pieces of this guide most suited to their classrooms. 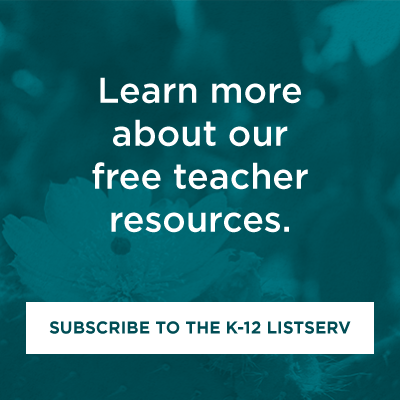 The first section describing Frida’s life and background is meant to inform educators as well as serve as a possible handout for student use. Subsequent sections provide additional information and possible strategies for how to share her life and work with students. The complete guide is available for downloading and individual sections are linked below for quick reference. Image adapted from a photograph of a mural of Frida Kahlo and reprinted via CC-BY-NC-SA © from Flickr user spanaut.